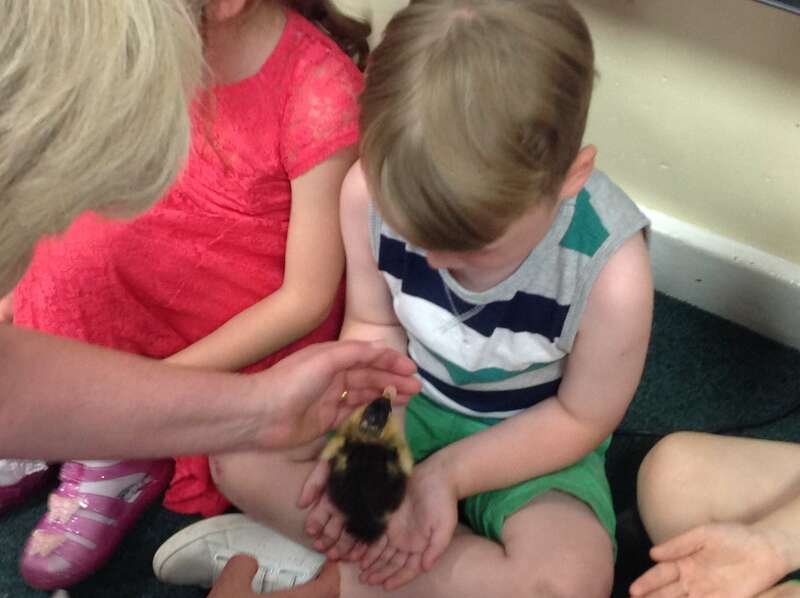 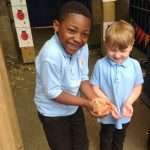 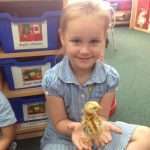 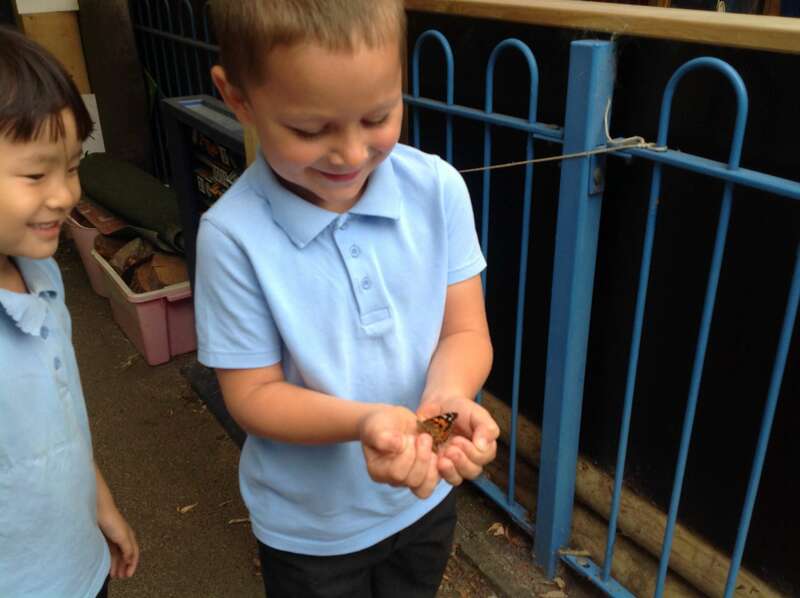 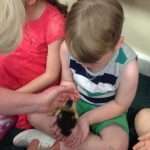 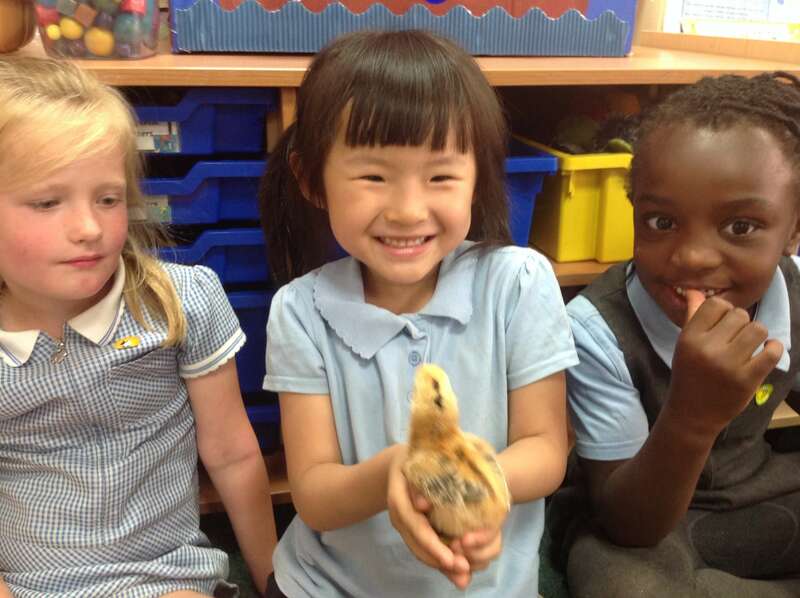 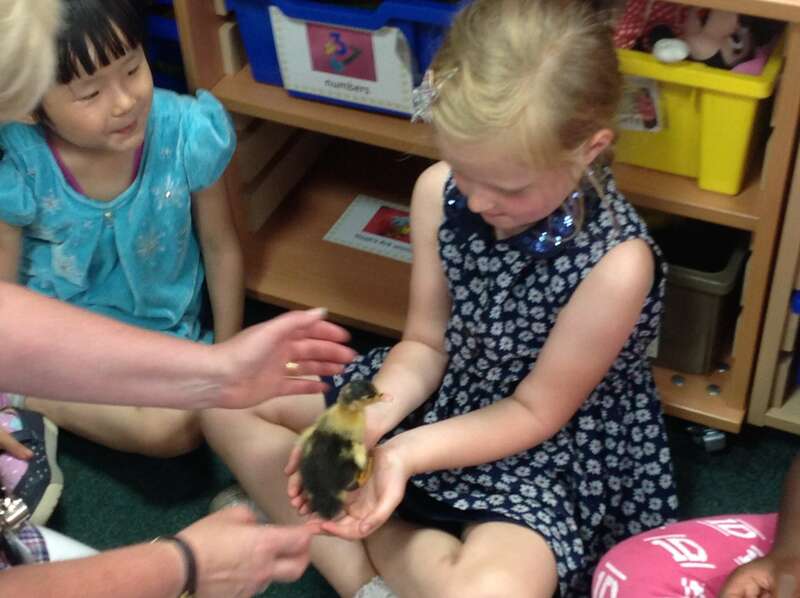 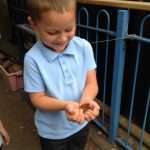 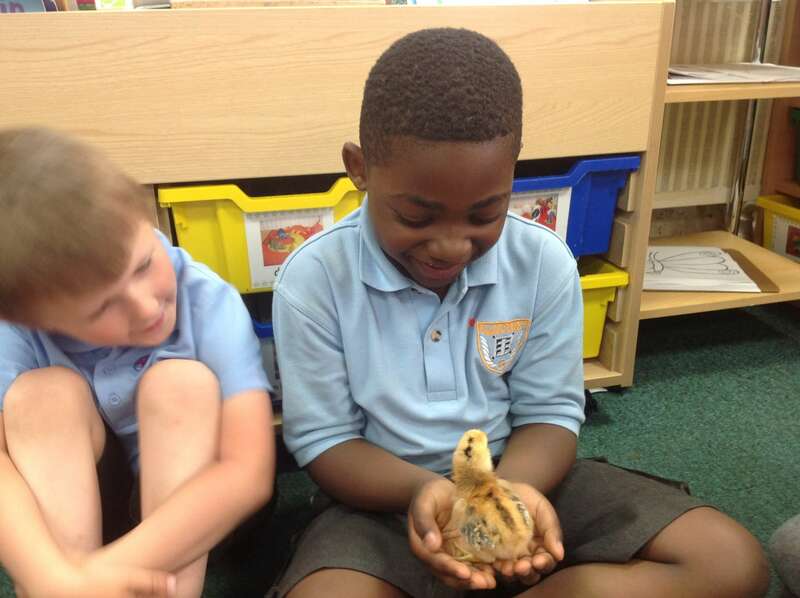 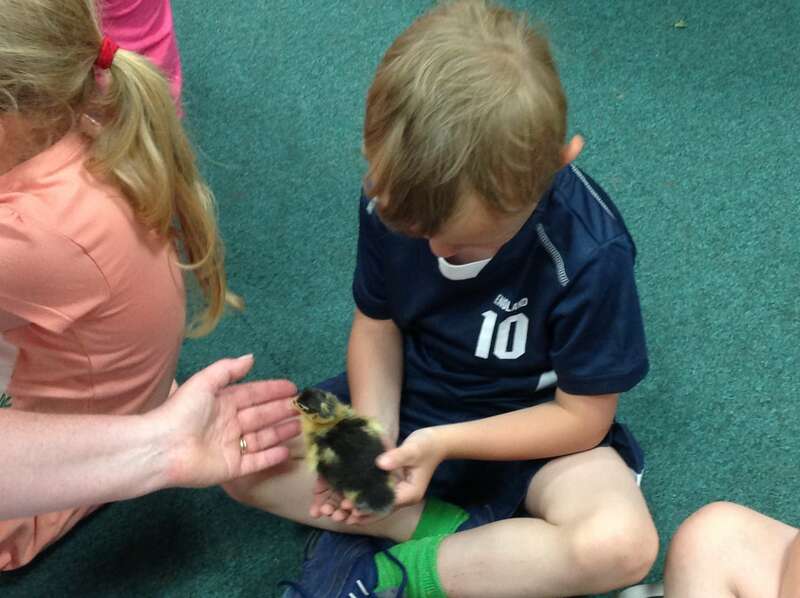 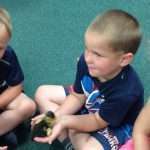 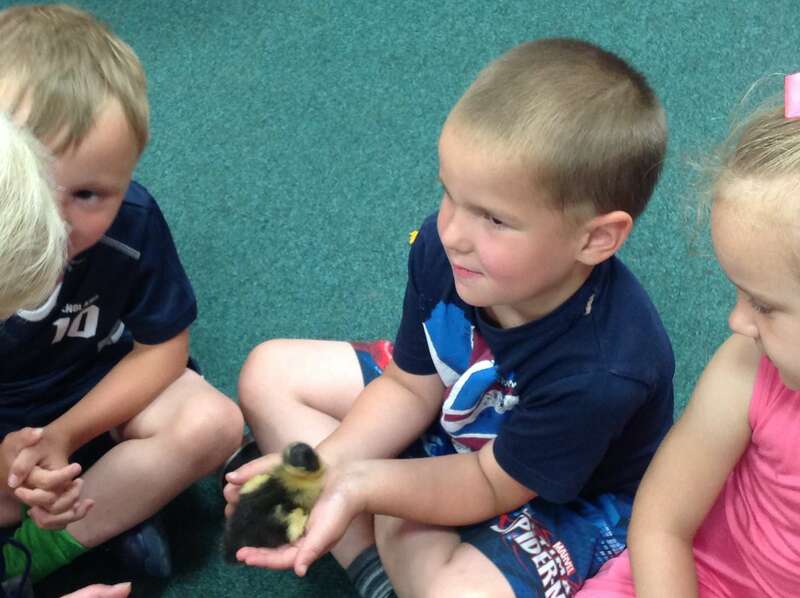 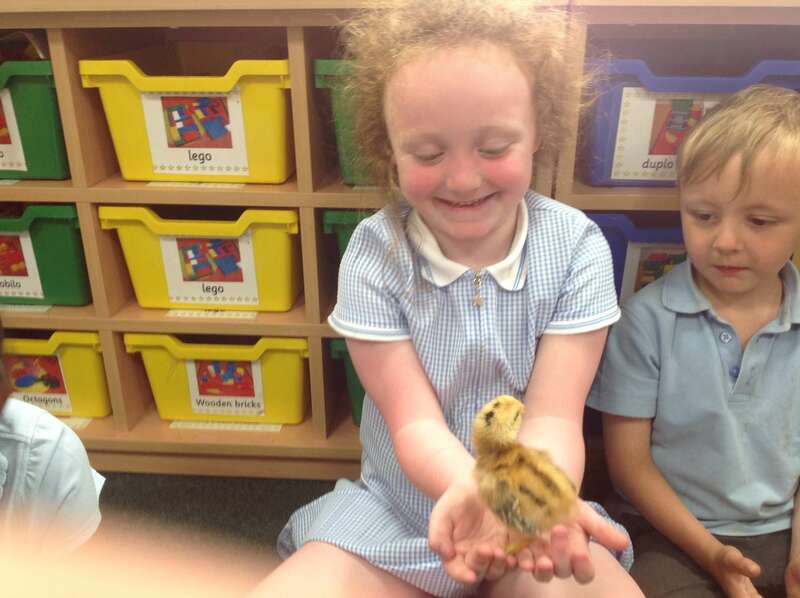 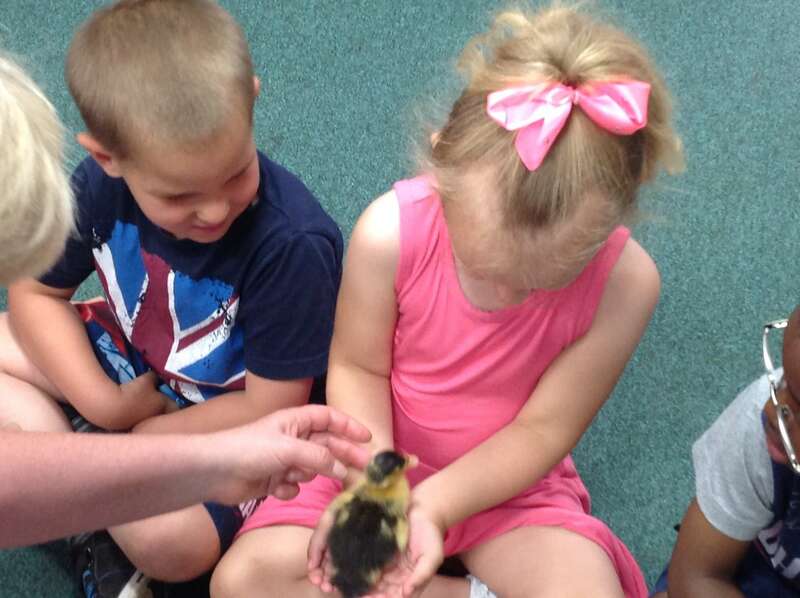 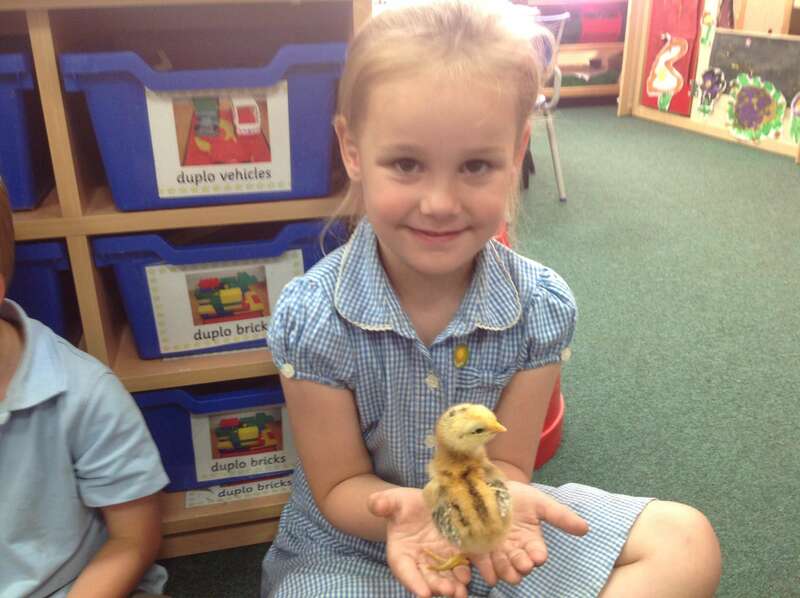 There has been a burst of new life in the Reception class this term. 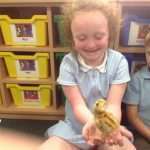 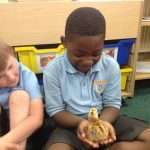 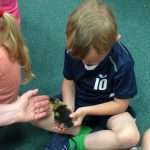 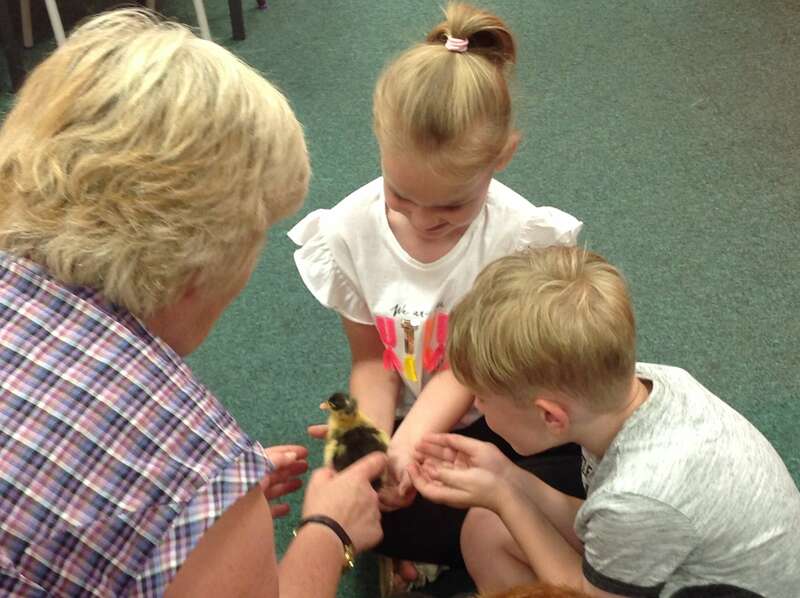 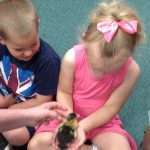 2 chicks and 1 duckling hatched in the incubator and we watched them grow and develop over a few days before returning them to Ouseburn Farm. 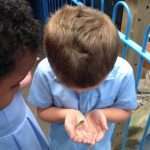 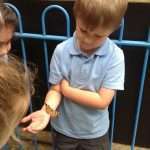 We also had over 30 caterpillars change into cocoons and then into butterflies. 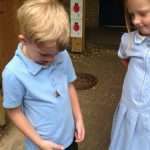 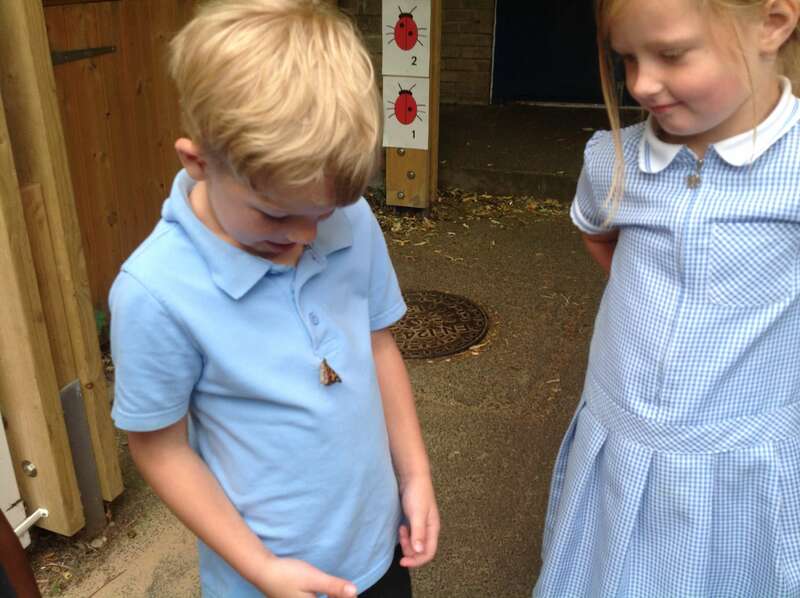 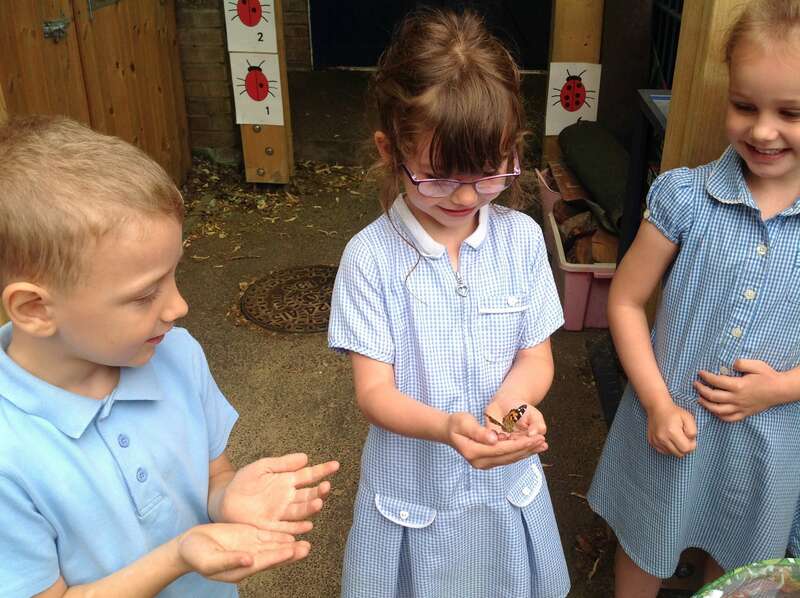 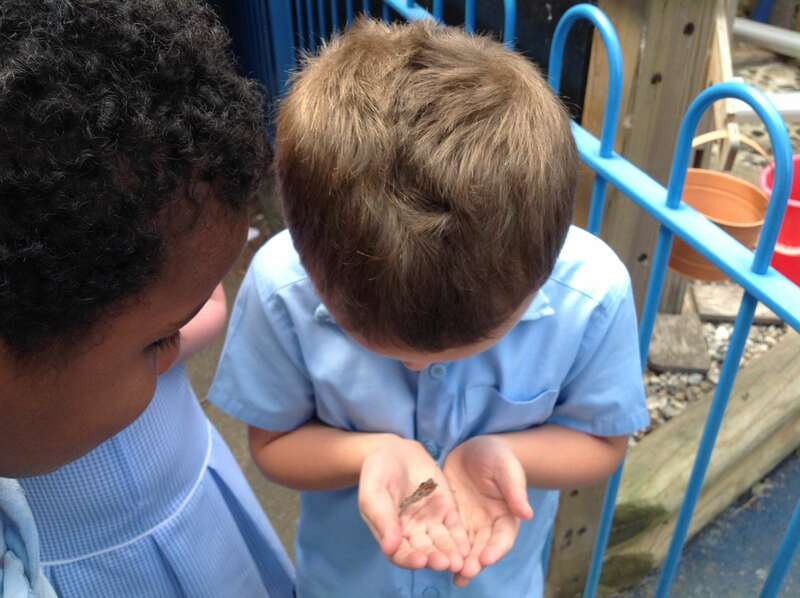 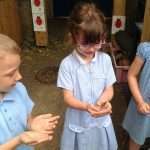 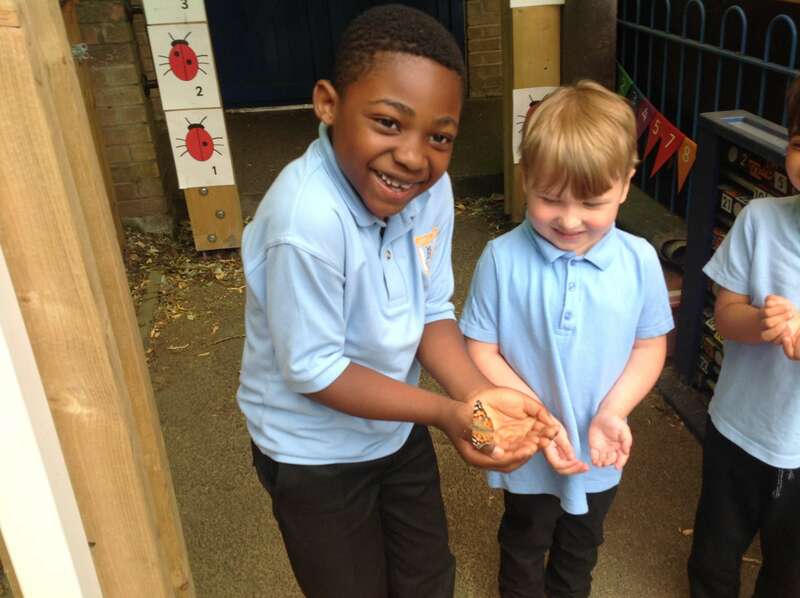 Earlier this week we let the butterflies fly out into the fresh air – some flew straight away; others were less keen and sat on our hands for a few moments before flying away. 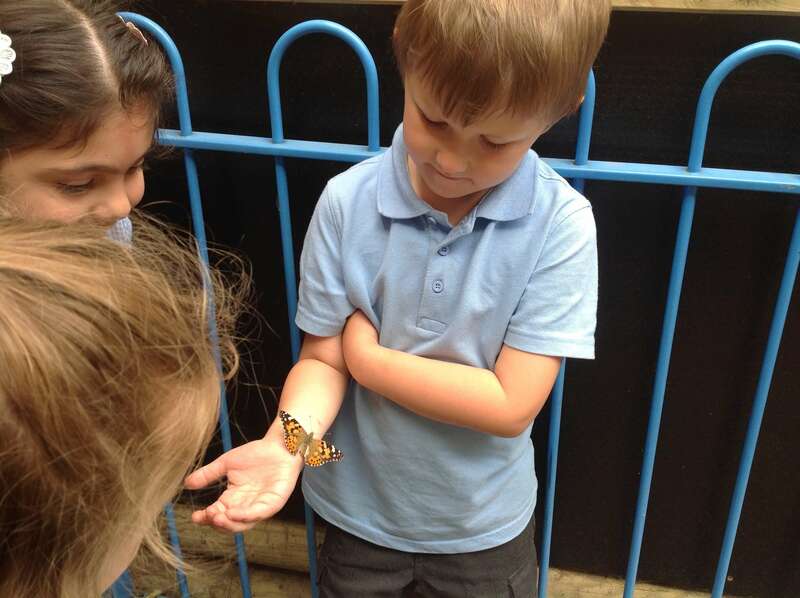 All of them were magical moments as you can see from the looks on the children’s faces!